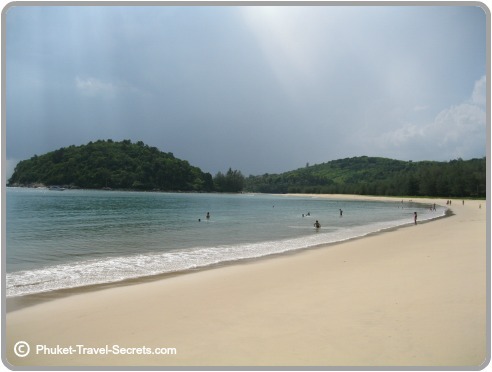 Layan Beach is one of the quietest and most beautiful beaches in Phuket. 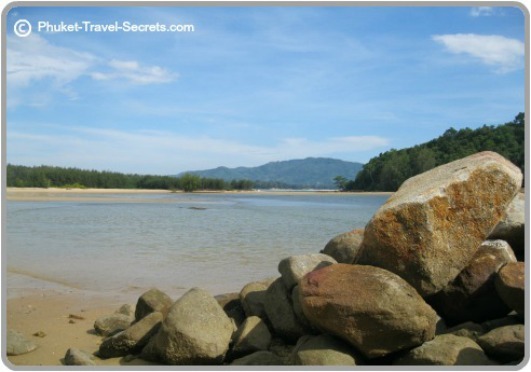 Layan is not that well known, which is a bonus for those looking for a relaxing break away. The beach itself has white sand and crystal clear waters and is located in a shallow bay at the far northern end of Bang Tao Beach on the west coast of Phuket. The mouth of a small river separates Layan from Bang Tao Beach. Just off shore is a small Island called Kala Island, which shelters the beach from the waves during the rainy season. On low tide you can walk to Kala Island and watch the fishermen while soaking up the local culture and the beautiful views. Even on high tide you are able wade across to this little Island. The water here is very shallow and calm, ideal for small children to play and explore. We found it too shallow to go swimming. 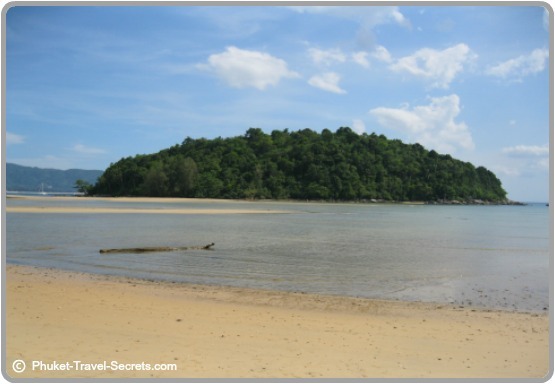 If you like peace and quiet Layan is the place to come for your Phuket vacation. 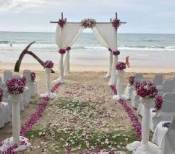 Below are some of the best places to stay near Layan Beach. 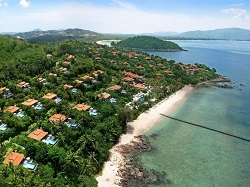 Anantara Beach Resort is set on its own private beach in a secluded corner at Layan Beach, offering complete privacy. 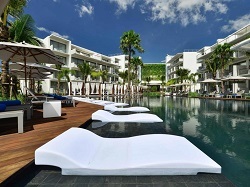 Dream Phuket Hotel & Spa is amazing, the rooms are spacious and the pools are fantastic. There are many choices of villa rentals and apartments around Layan from upmarket new developments and private villas to apartments that are located close, but not on the beach. 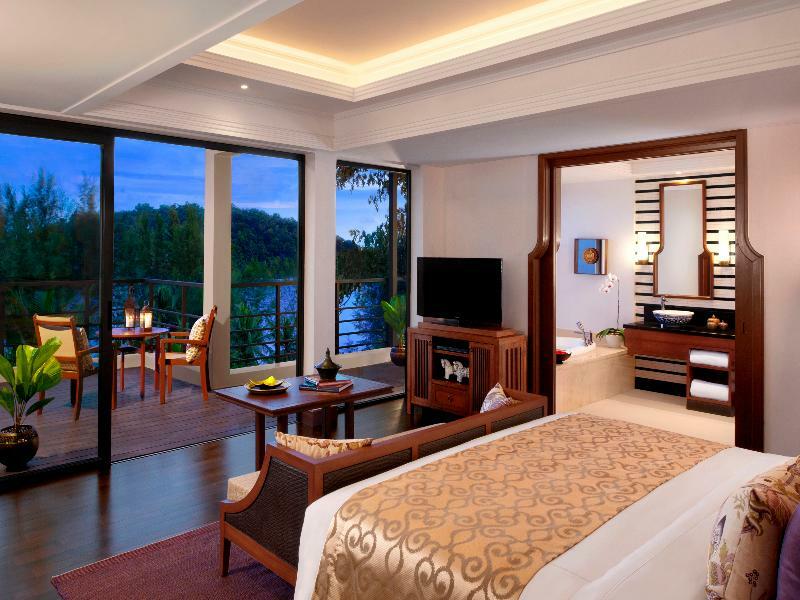 Trisara Villas is the ultimate luxury 5 Star Resort in Phuket. The Pavilions Phuket was formerly known as Phuket Pavilions. 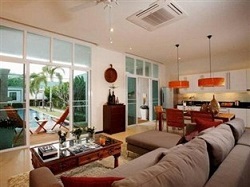 Two Villas Oxygen is located in a peaceful area just adjacent to the Laguna Phuket. 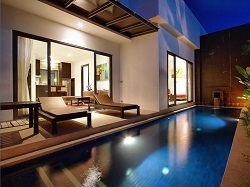 Seastone Pool Villas are located in the Bang Tao / Laguna area close by to Layan Beach. The area at the southern end of the beach is spectacular, here you will find a few beach chairs and a friendly restaurant that serves Thai food at reasonable prices as well as a beer corner. If you head further south to Bangtao Beach you will find a host of places to eat. 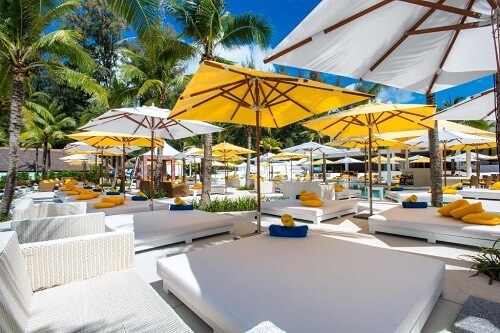 If your looking for a beach club to hang out at, head to the northern end of Layan Beach where you will find Dream Beach Club. Dream Beach Club is located directly on the beach offering stunning views and a relaxed ambiance. A great place to enjoy lunch or just to hang out around pools and enjoy a cocktail from the swim up bar. You can also enjoy nightly entertainment and alfresco dining at Level One on the upper floor of the beach club. Because of the proximity to Laguna, the area around Layan has attracted many property developers. Including the likes of Lakewood Hills Villas, Layan Gardens apartments and the Lotus Gardens with 2 and 3 bedroom apartments that are within close proximity to the beach. 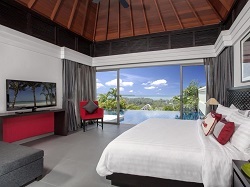 Luna Phuket with 10 modern villas and the 2 and 3 bedroom Layan Pool Villas that offer fantastic views over Layan and Bang Tao which are located 1 kilometre from the Beach. Layan is an up and coming area with mainly luxury developments. 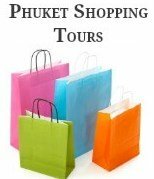 Drive north through Thalang and take route 4031, turn left and head to Nai Thon Beach, keep going left and it will bring you to the beach.